Whether it’s the slumping economy, never-ending election, or the yearlong slog of airline fees that’s got you down, the story of a [[Delta Air Lines | Delta]] baggage handler finding a cheetah loose in an airplane cargo hold ought to make you smirk. Not that I think the idea of a frightened wild animal running panicked among piles of luggage is funny (I don’t). Nor do I think laughter was the first thing out of the baggage handler’s mouth when he or she discovered the famously fast predatory cat running rampant. Hmm … maybe it’s not funny at all? Anyway, here’s what happened: Two cheetahs were being flown from Portland, Oregon, to Atlanta last week. One of them escaped from its cage somehow, and was discovered by a baggage handler after the plane landed. 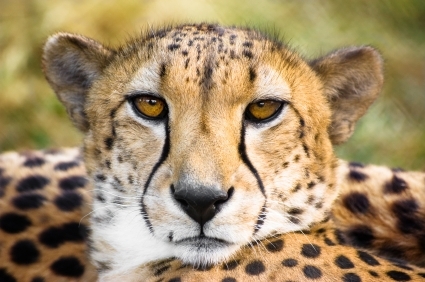 Experts from Zoo Atlanta were called in to tranquilize the animal before taking both cheetahs, which are ultimately headed for the Memphis Zoo. Apparently no bags were damaged, though they were delayed. There are a million jokes to be made here, and that’s fine (i.e., it’s a good thing no one checked any gazelles, etc.). We can laugh about it, of course, only because neither the baggage handler nor the cheetah was hurt, the animal didn’t escape and terrorize the runway, and luggage was only delayed, as opposed to eaten. All kidding aside, [[Pet Travel | traveling with animals]] is a highly contentious issue. Tell us what you think about bringing pets onboard by taking this short survey. Thanks!